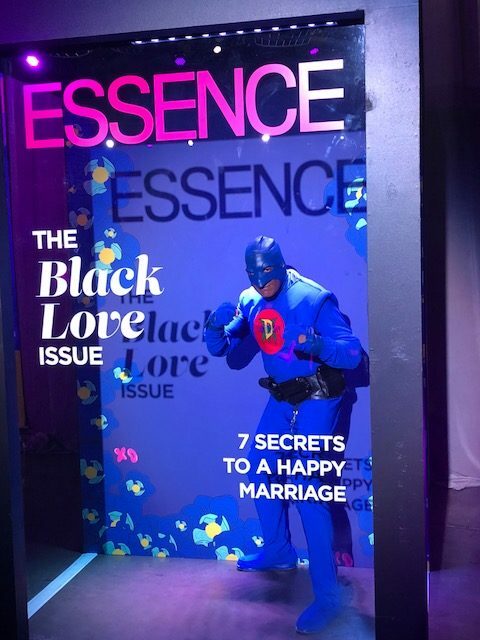 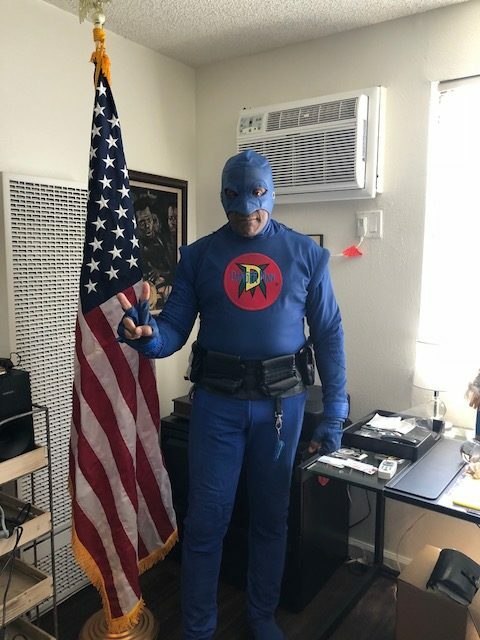 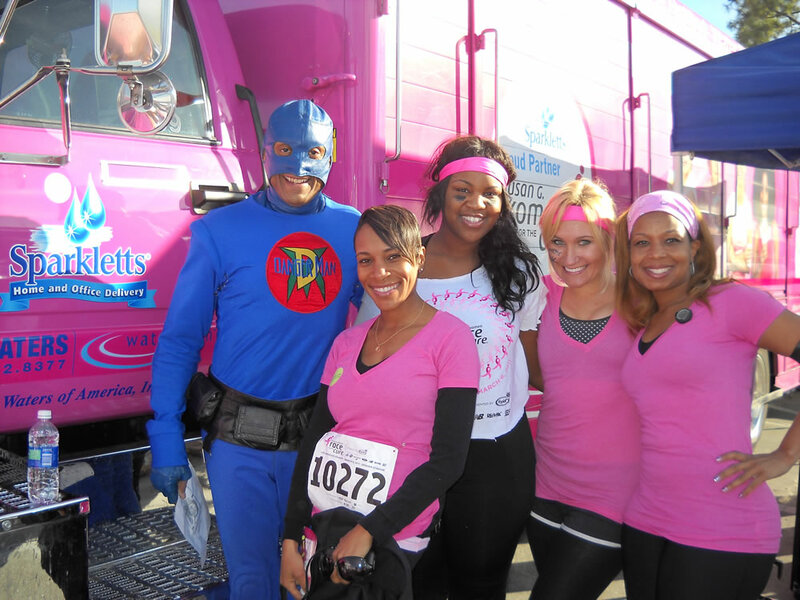 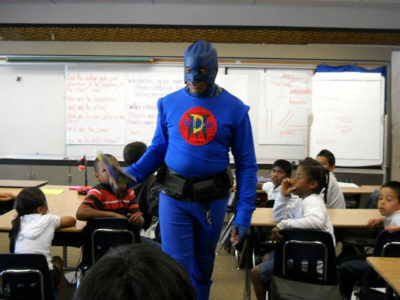 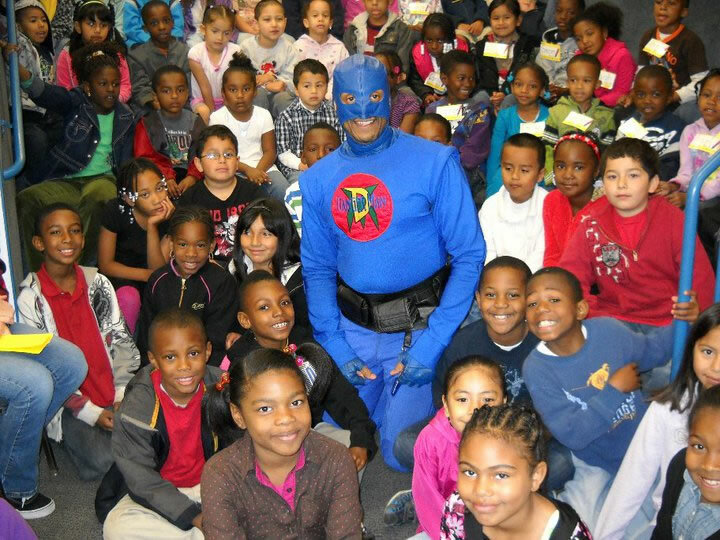 Roger Tinsley is the Real Life Urban Superhero, DangerMan, and CEO/President of the DangerMan Education Foundation, Inc, a non-profit 501(c)(3) organization. 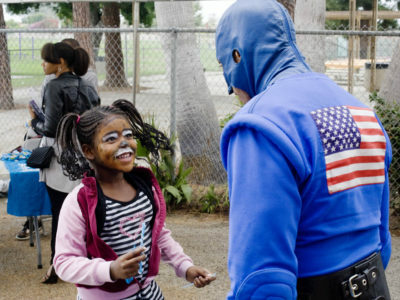 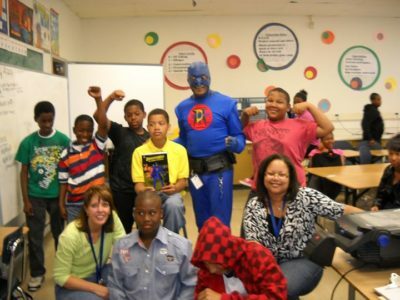 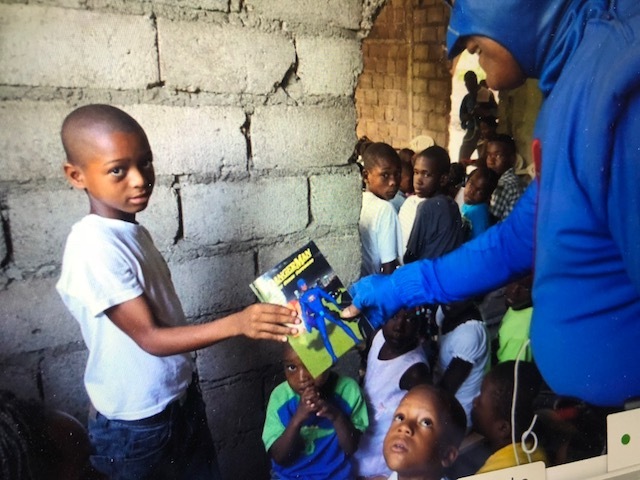 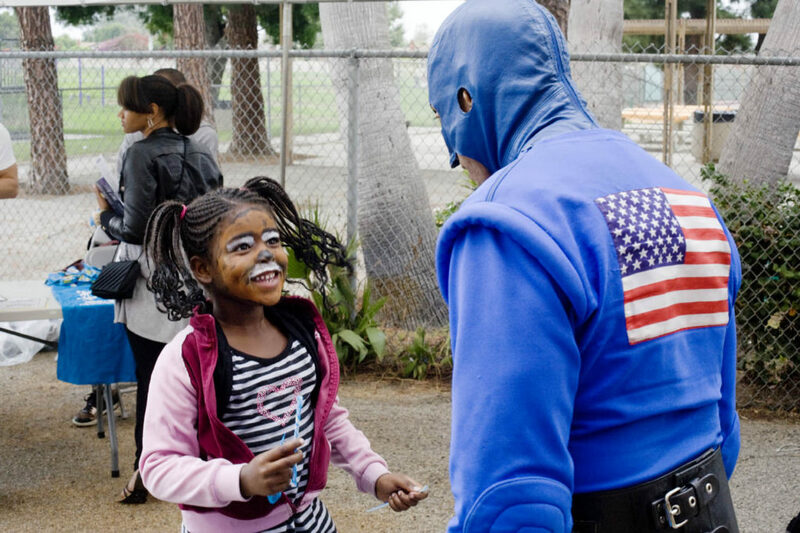 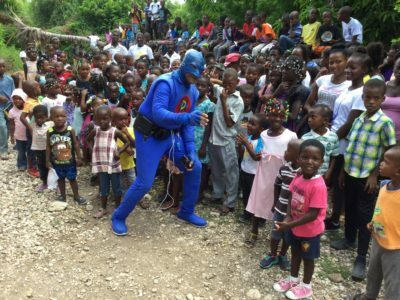 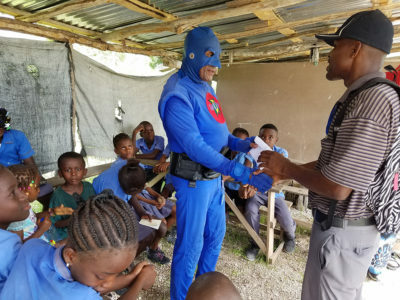 For more than eighteen years, DangerMan has empowered children to ‘live their best life’ by inspiring a passion for reading, establishing education as a key priority and encouraging them to live a healthy lifestyle: no gangs, guns, drugs, alcohol or tobacco. 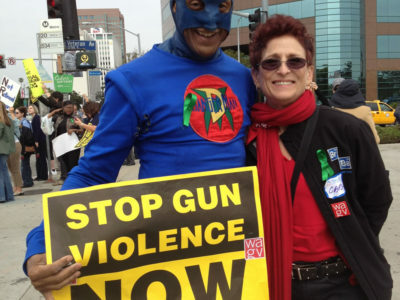 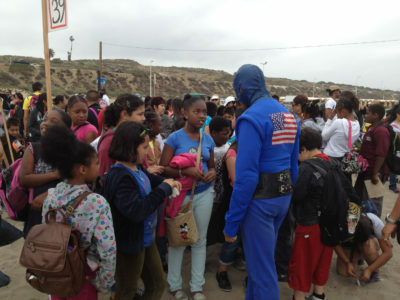 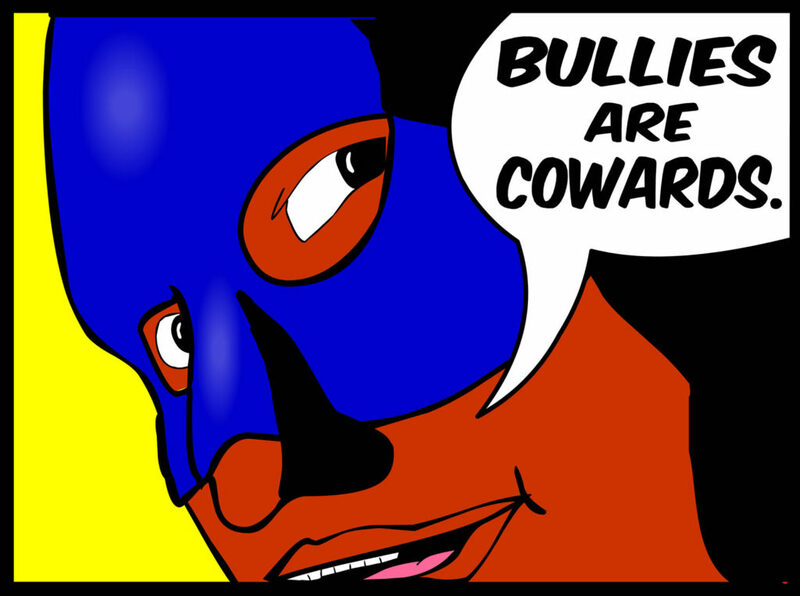 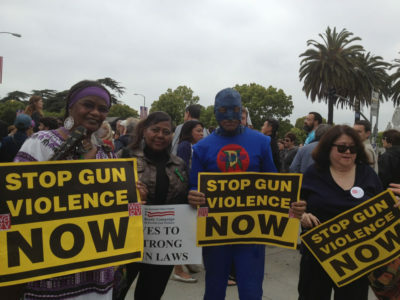 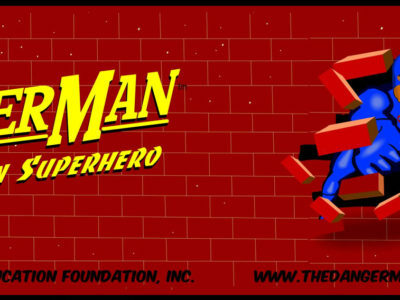 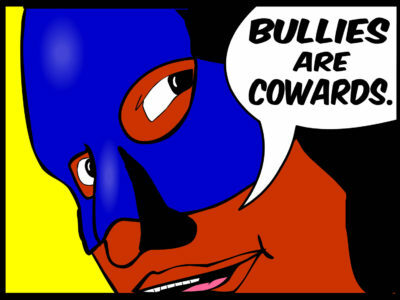 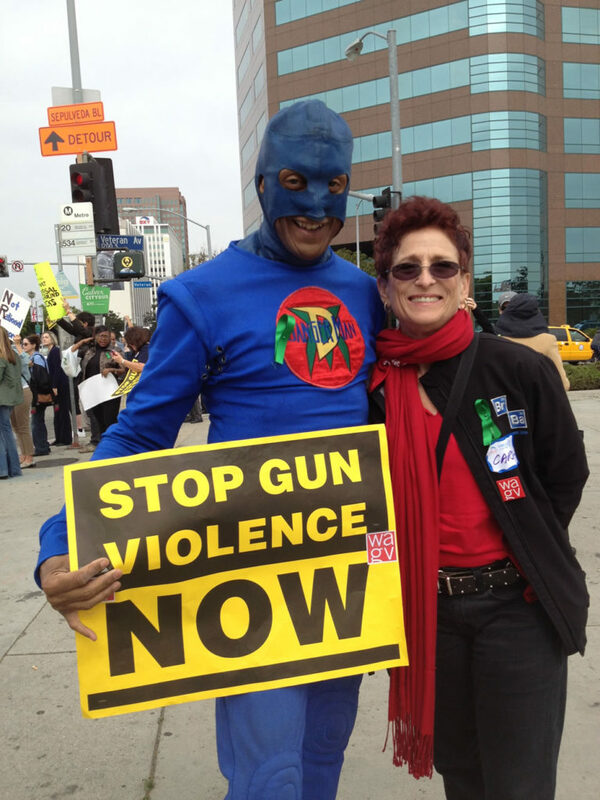 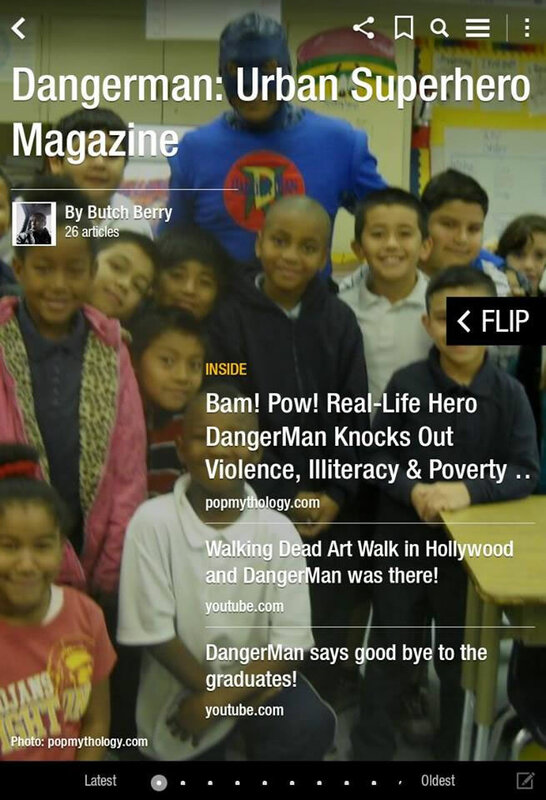 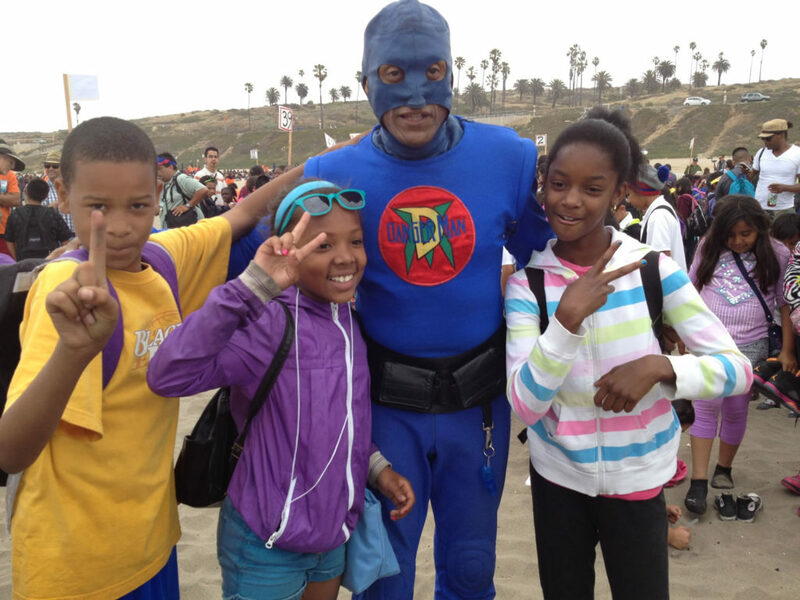 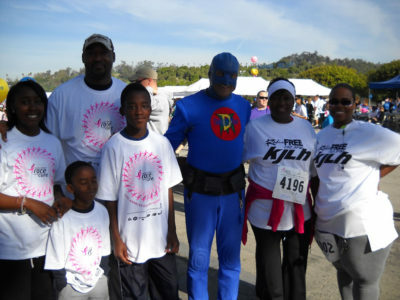 DangerMan protects our urban youth from bullying, human trafficking, and all forms of abuse (i.e. 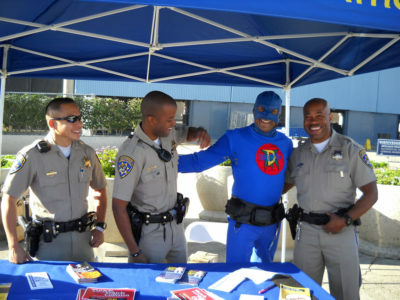 drugs, physical, sexual, domestic violence) by equipping them with tools that heighten awareness and prevention. 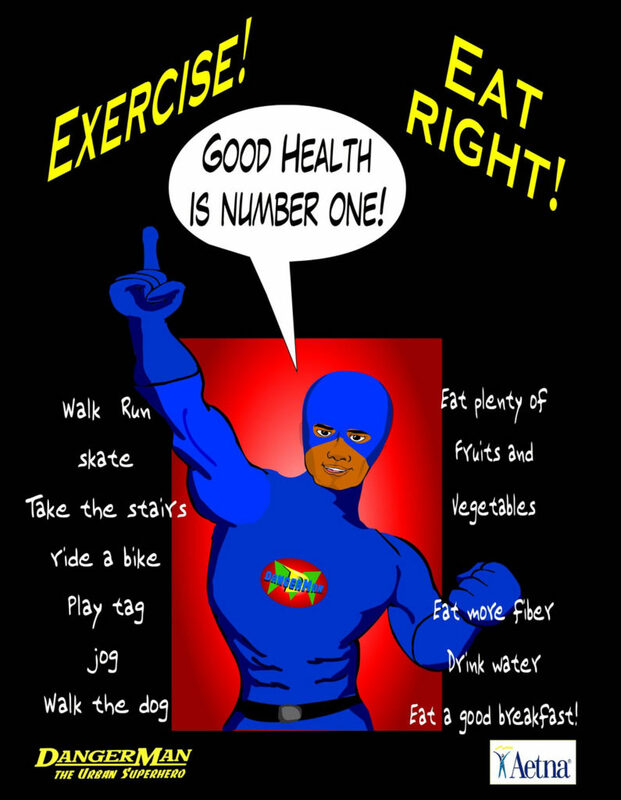 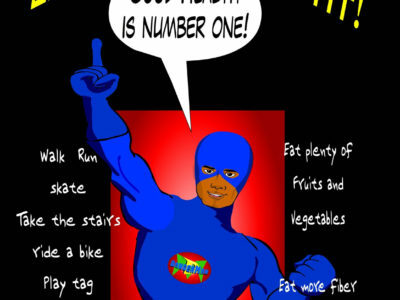 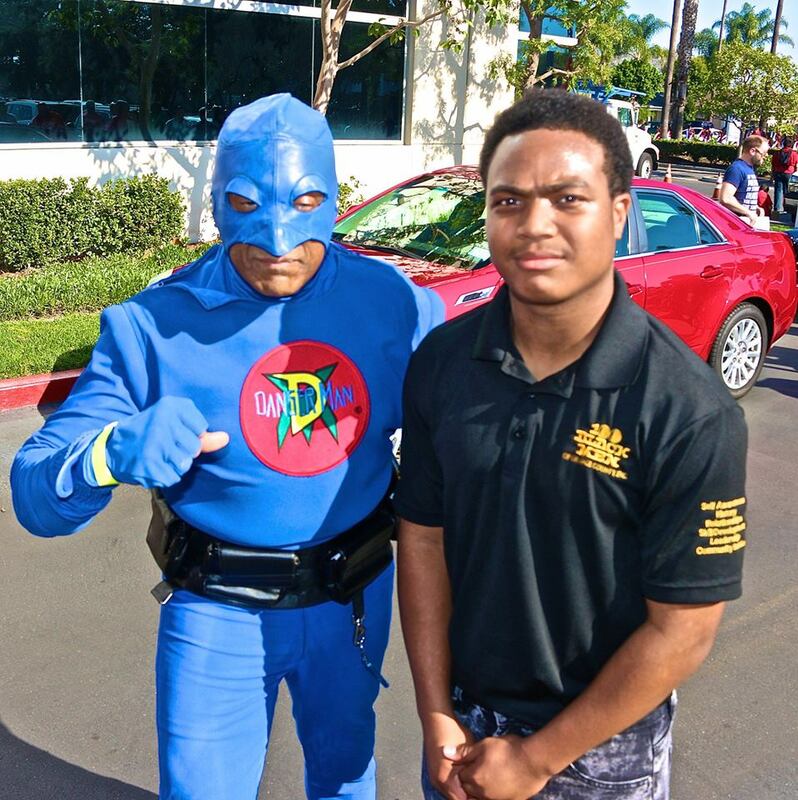 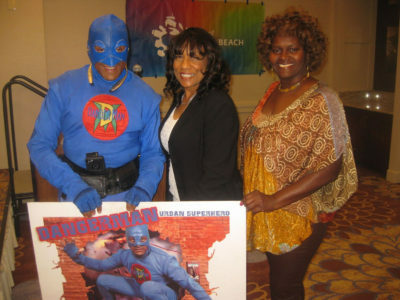 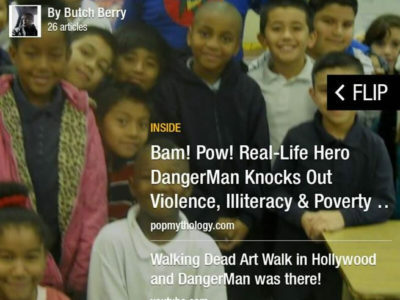 DangerMan promotes literacy, safety, and the attainment of optimal health (emotional, mental, and physical) for urban youth and their families. 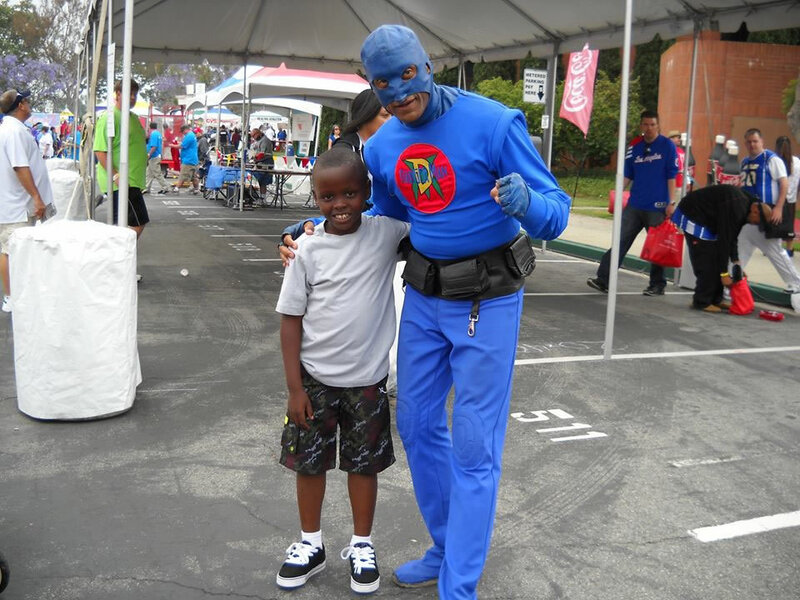 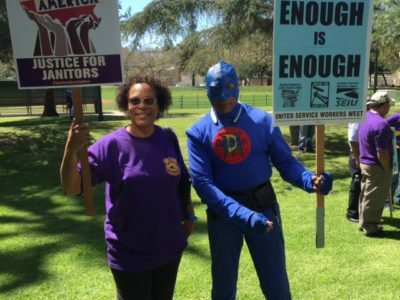 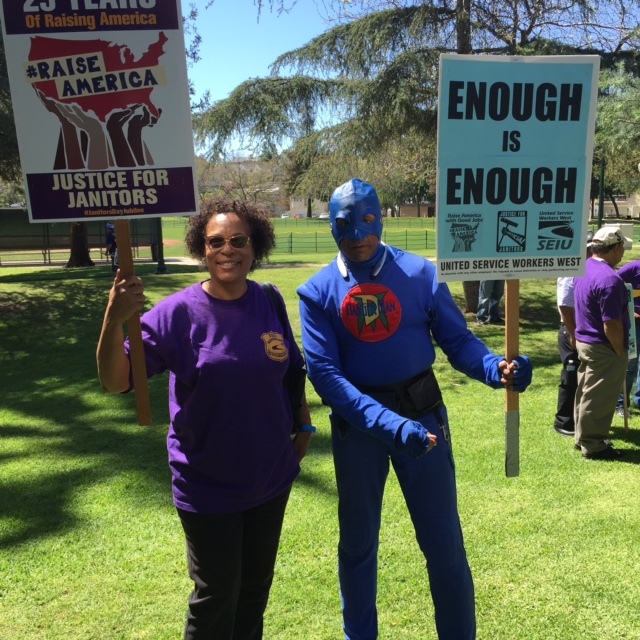 DangerMan provides financial resources to support the efforts of ordinary individuals who make extraordinary contributions to local communities in the state of California. 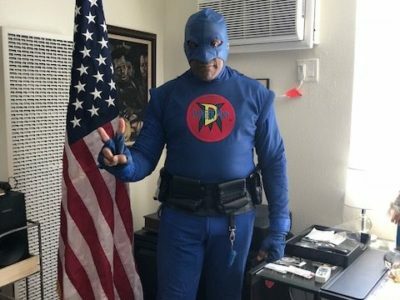 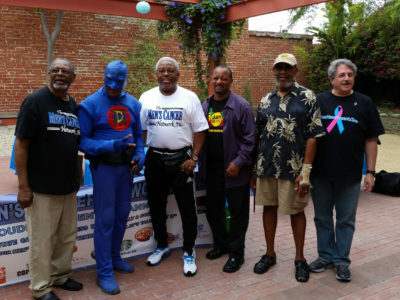 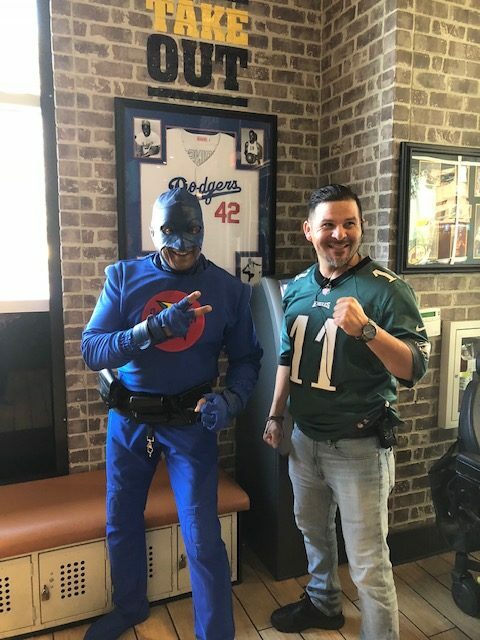 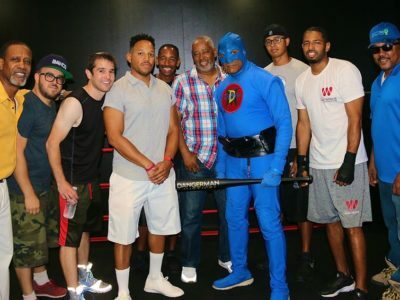 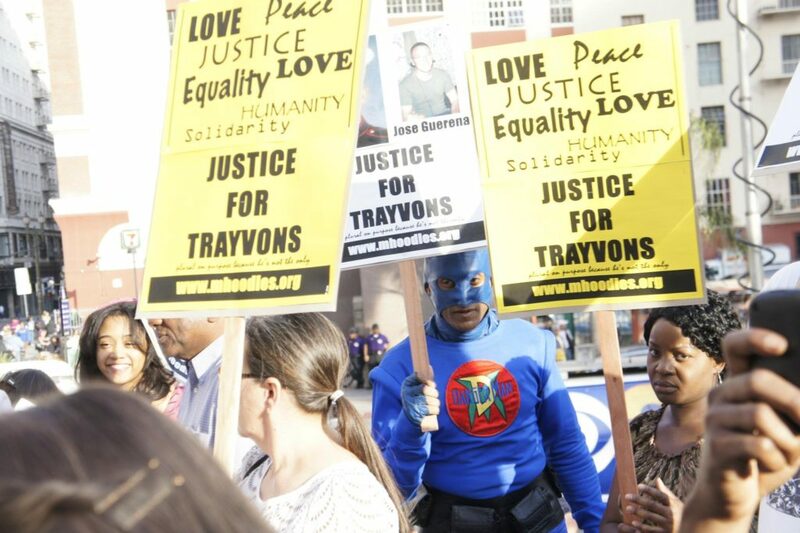 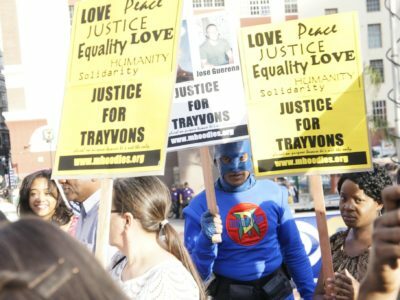 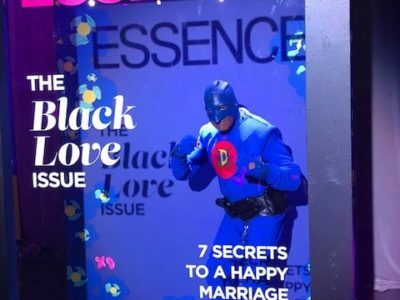 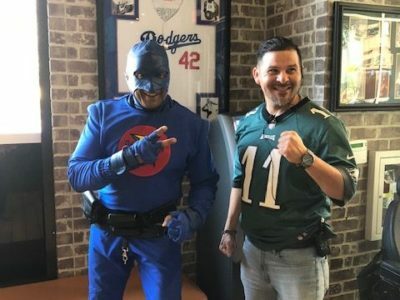 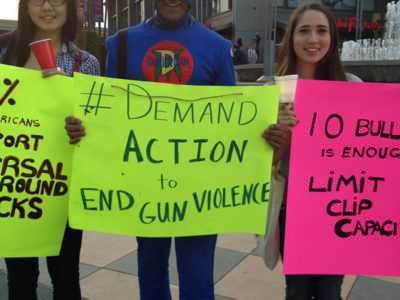 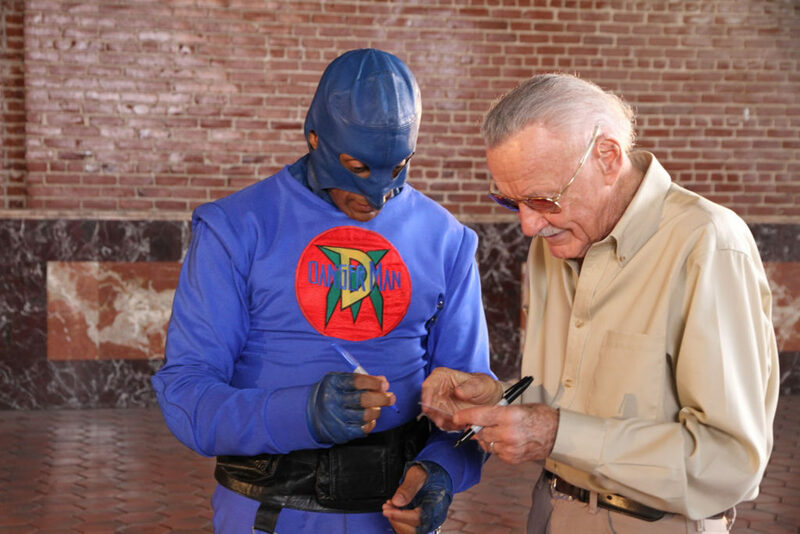 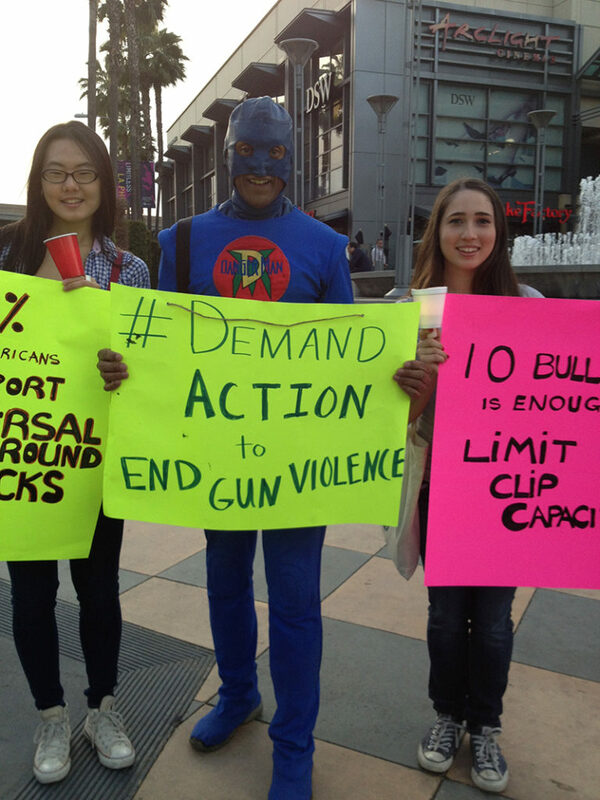 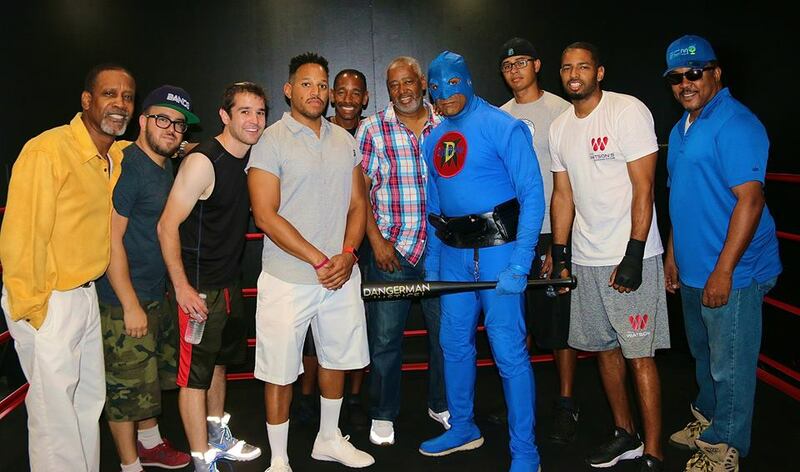 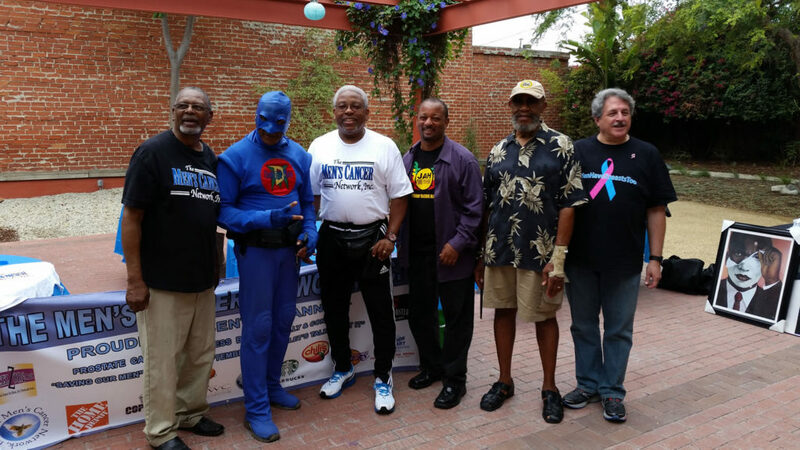 The DangerMan Real Life Superhero brand is a symbol for justice, not just for some, but for all Americans and is now the #1 Real Life Superhero brand in the world. 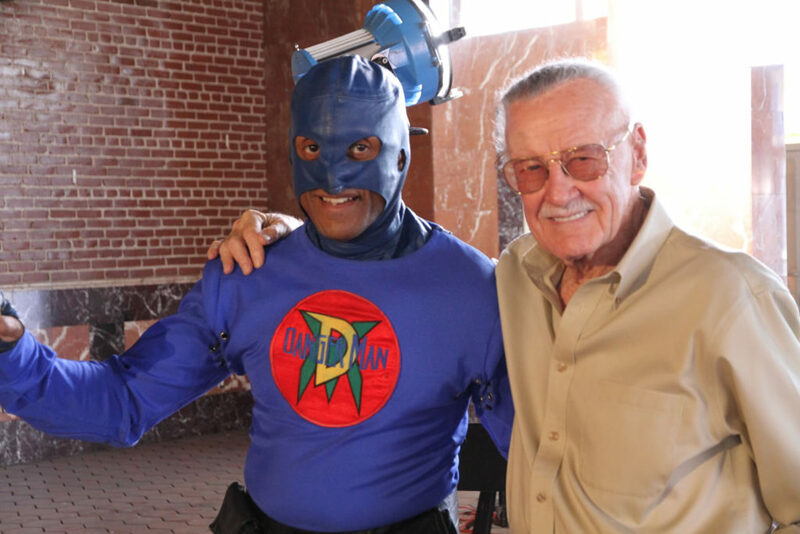 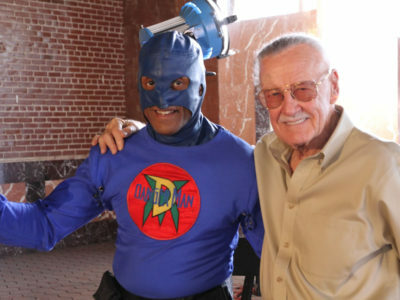 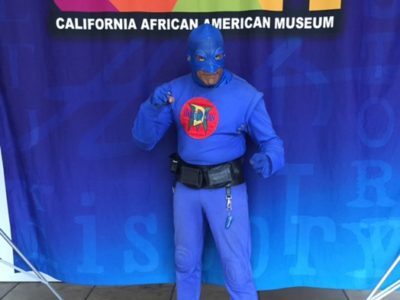 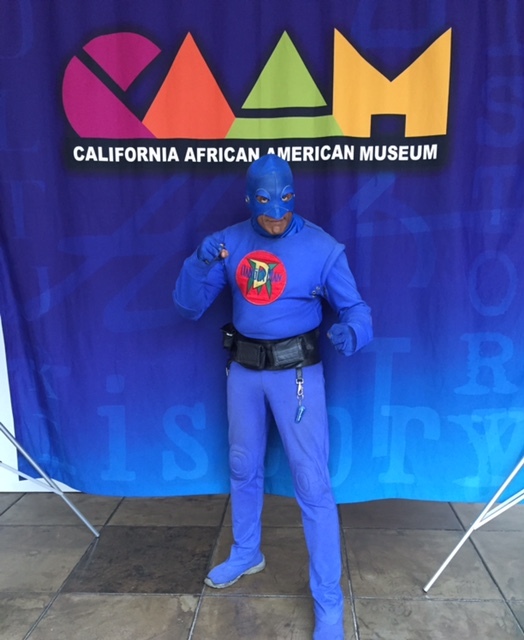 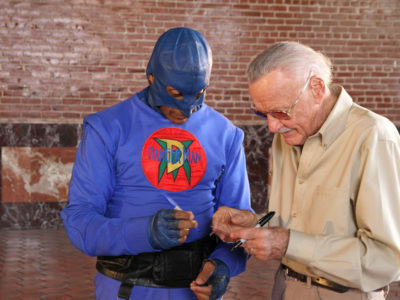 DangerMan has a presence on more than ‘40’ social media sites and enjoys a fan base of more than 2 million viewers. 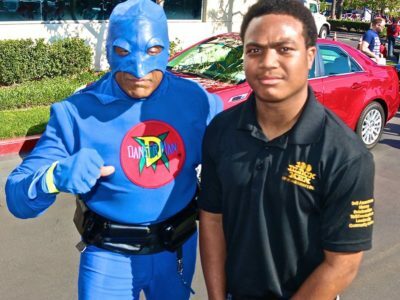 See our video crime series, “DangerMan Chronicles” on YouTube. 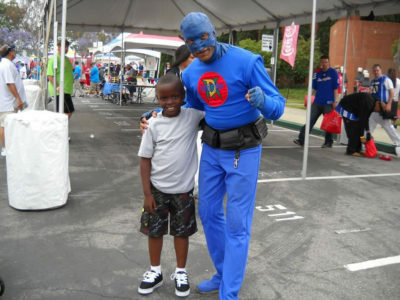 Please feel free to email us at info@dangermanheroawards.com or call our office at (818) 752-3952.